I’ve got some plans for my dream home. I’ve bought the land, the house is a good size for the land so I am good to go! Right…? 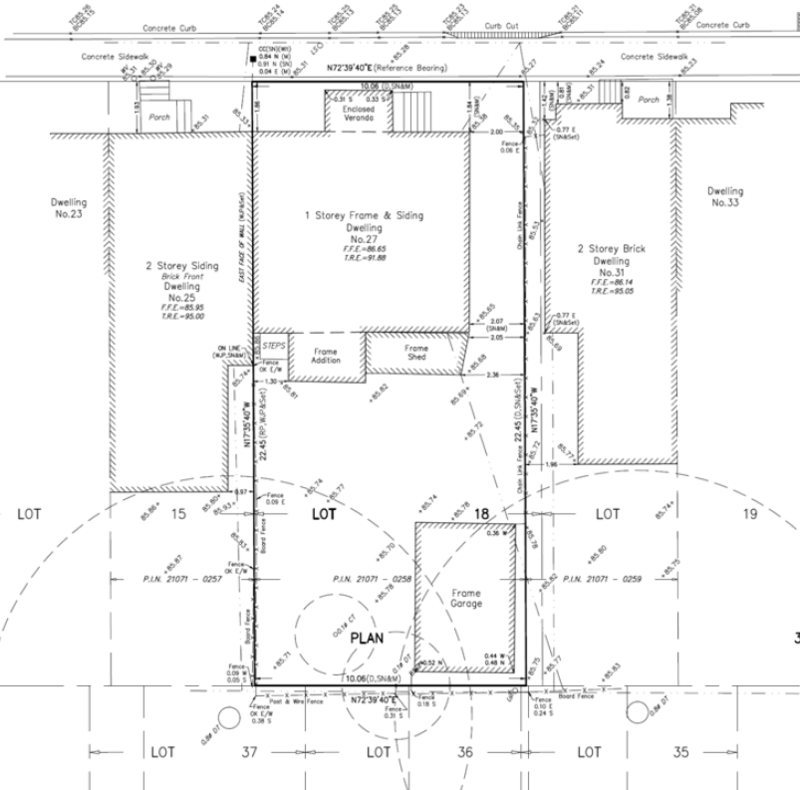 Designing your first new home can be a fun but complicated process. One thing that can actually throw you off is the limitations placed on your design choices. You may want to build a modern home or something different, but if your plot is surrounded by proud classic architecture, it might not be so easy. The old saying “If it’s your land, you can do what you want with it” is not exactly true when you own land almost anywhere in North America. Every parcel of land in a developed community is governed by the regulations set out in each municipalities’ zoning bylaws, and every neighbourhood in each municipality will have different restrictions on what and how much you can build. Some neighbourhoods have home owners associations with strict rules about what you can and cannot do. Now, this make senses if you live on say a historic street renowned for it’s beautiful architecture. No one wants to live on that street only to have someone build a mismatched eyesore that ruins the feel of the street. If you simply want to change the old shutters on your house though, suddenly you could find yourself in hot water. Say you inherited a plot of land, or you recently bought an old bungalow that want to tear down and build your dream home, where do you start? The first step is to get a survey of your land. Your city records will allow you to request the last survey they have on file. A survey will indicate your property boundaries, with the existing footprint of any structures on the property. The second step is to find out what your property is zoned for. Most municipalities within the GTA have an online interactive zoning map that you can use to search up the zoning pertaining to your address. The Toronto zoning map can be found here. FSR (Floor Space Ratio) – This is the ratio of allowable square feet to land area. A 0.4 FSR indicate that you can legally build up to 40% of square footage of your land footprint. If you have a 100 foot x 100 foot lot, your total land area is 10000 square feet, and your home can be 4000 square feet. Maximum Building Height – This one can get tricky when you are looking into having a rooftop terrace/deck area. Do you count the top of your structure as the building’s height, or the top of your terrace? Front, side and rear year setback – This indicates how close your home can be to edge of your lot. If every home is several meters back from the sidewalk and yours is right on it, it would look very strange. Lot coverage – This is something that is often not thought of and is an important metric when designing your exterior landscaping of your home. To prevent from flooding, your lot needs to have an ability to soak in storm water. If your home covers all of your lot, the land under it will have a hard time absorbing that water. A 40% lot coverage number will mean that you need to have 40% of your land as “open permeable landscaped space,” which in English means ground. Parking Requirements – How many parking spaces are required for your home? Accessory Buildings – Some jurisdictions have specific requirements on garages and sheds built for homes. You might be able to have 1 legal parking spot on your land, but then also following the neighbourhood rules could make the placement and design of it, extremely difficult. There are tonnes of different requirements, they all need to be addressed and accounted for. Every neighbourhood is different. A 10,000 square foot lot in downtown Toronto allows you to build 30000 ft^2 of residential space if it has a 3x FSR. Whereas a the same size lot in Oakville will only allow you to build a 3000 square foot single family home. You can feel forced into building on that specific theme. So, what if your plan for your dream home stretches these limits? Are you out of luck or is there a solution? Do not fret! It is actually extremely common in the GTA that your home won’t exactly conform to how the zoning bylaw is written. If you want to go above the allowable restrictions, then you simply have to ask permission from the city by requesting a minor variance. More info about a minor variance is found here. It is important when you are considering a request for a minor variance that you recognize that it is in keeping with the existing fabric of the neighbourhood. Precedent is incredibly important when seeking a minor variance. If you see homes in your neighbourhood that have had similar exemptions with size, front/side yard setbacks, or fewer parking requirements than the zoning requires, then it is a good sign that you can get a similar approval yourself. You can use their exceptions to bolster your request. If everyone has additions on the back of their historic farm houses for instance, you will probably be able to as well. If you are requesting to make a 7 storey concrete building on that street, you probably wont be as successful! Now this may not always be the case. Some properties are grandfathered into older zoning bylaws. They may all have a certain architectural feature you like that is no longer allowed. They may all have spiral staircases to a top floor bedroom which you absolutely love, which you cannot legally build anymore. So requesting this feature, is a no go. This is one of the reasons why it is incredibly important in your initial planning stage that you always consult a planner or experienced builder. They can add an enormous amount of value to your design by stretching the limits to what you thought was possible and minimizing the risk of getting your proposal denied by the city. You will find that while dealing with the city can be quite cumbersome, the application process is necessary to make sure properties are functional, feasible, and aesthetically pleasing. Just take a look here at what bad planning can do to a neighbourhood. Bad planning and bad building can lead to endless delays that disrupt what really matters, having a good functional home and community. Taking the time to plan well and design with your surroundings in mind, will lead to good results for you and your neighbourhood. Till next time, the perfect lifestyle is up to you!